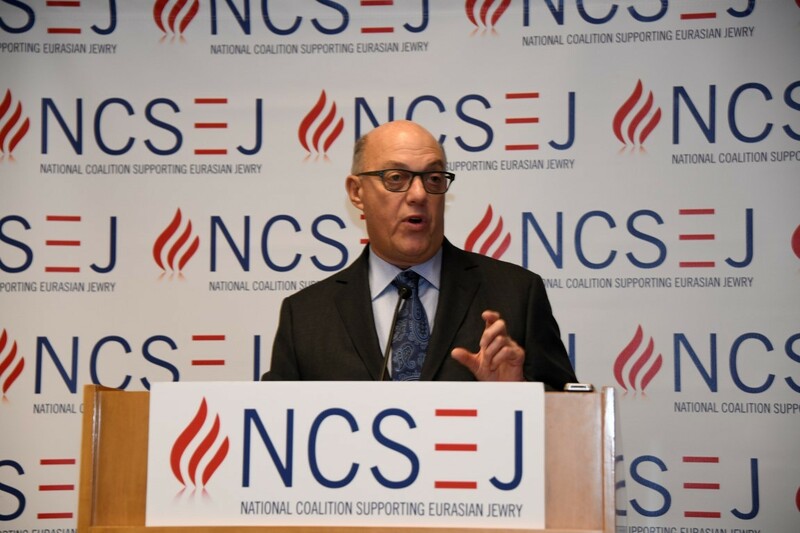 On Tuesday, NCSEJ held its annual Board of Governors meeting in Washington, DC. 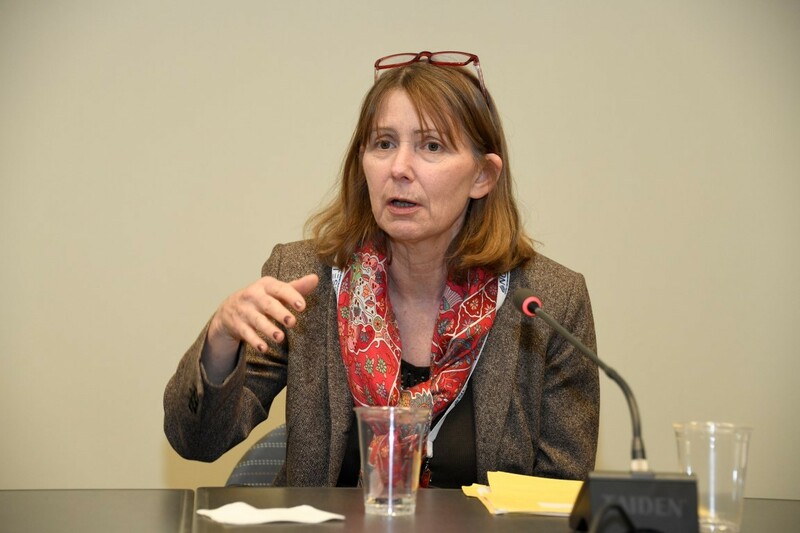 This year, our featured speakers and presenters included Robert Grey, Finance Committee Member and Mission Chair for World ORT, Bulgarian Ambassador to the United States Tihomir Stoytchev, writer Lev Golinkin, and Deputy Assistant Secretary of State for European and Eurasian Affairs Kathleen Kavalec. 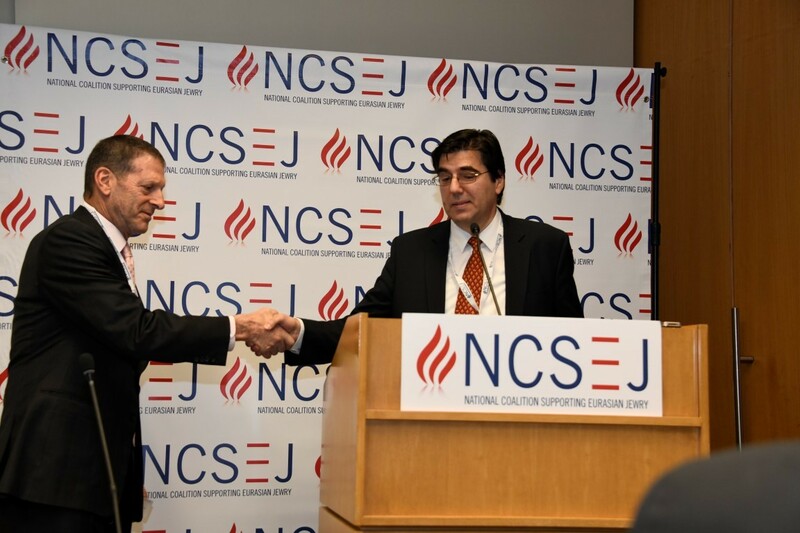 NCSEJ President Sasha Smukler and I also spoke about the 30th anniversary of the March on Washington for Soviet Jewry. To listen to our presentation, please follow this link. Secretary of State Rex Tillerson has been traveling in Europe this week and on Thursday, met with Russian Foreign Minister Sergei Lavrov in Vienna at a meeting of the Organization for Security and Cooperation in Europe (OSCE). He vowed there would be no serious warming in relations between Washington and Moscow if Russian-backed troops remain in Eastern Ukraine and Crimea is not returned to Ukraine. In Kyiv this week, clashes broke out between police and protesters supporting former President of Georgia and ex-Governor of Ukraine's Odesa region, Mikhail Saakashvili. Authorities apprehended Saakashvili on the rooftop of his apartment building where he was addressing his supporters with remarks against current Ukrainian President Petro Poroshenko. President of Russia Vladimir Putin confirmed this week he will seek another term in office in next year's elections. Putin has served as President of the Russian Federation since 2012, and before that from 2000-2008. In Poland, construction at the site of a Jewish cemetery in the town of Siemiatycze led to the exhumation of human remains from the ground. 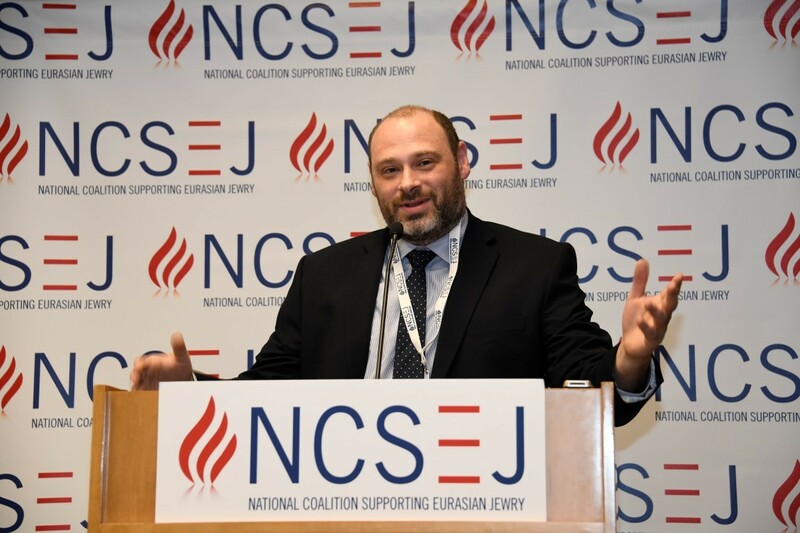 NCSEJ has been in contact with Chief Rabbi of Poland Michael Schudrich and the Polish government, which is addressing the issue at the local and national level. We will keep you informed as the situation develops. Prime Minister of Poland Beata Szydlo resigned yesterday. Finance Minister Mateusz Morawiecki will succeed her. The Senate Foreign Relations Committee passed the Justice for Uncompensated Survivors, or JUST Act this week. The act, co-sponsored by Tammy Baldwin (D-WI) and Marco Rubio (R-FL), seeks to strengthen restitution rights for Holocaust survivors. As Chanukah approaches, we remind you to donate to NCSEJ's annual Chanukah Appeal. We need your support to continue to advocate for and protect Jewish communities in the Eurasia region. To donate, please visit our website to contribute with PayPal, call us at 202-898-2500, or mail a check to 1120 20th St NW, Suite 300N, Washington, DC 20036. We wish you all a Happy Chanukah. Secretary of State Rex Tillerson vowed that there will be no easing of sanctions on Russia or warming of relations until Moscow stops supporting separatists in eastern Ukraine and abandons the “apparent annexation” of Crimea. “We can have differences in other areas, but when one country invades another, that is a difference that is hard to look past or to reconcile,” Tillerson told reporters at a meeting of the Organization for Security and Cooperation in Europe (OSCE), a group created during the Cold War to encourage dialogue between East and West. Ukrainian activists and reformist lawmakers worked tirelessly overnight to remove a bill from parliamentary consideration that they say would "destroy" the country's only independent investigative body by dismissing its chief. By the morning of December 7, after hours of frantic calls to Western allies for support, they had won a small victory in a battle that looks set to continue: The legislation was not on the Verkhovna Rada’s agenda for that day. The highly controversial bill, which would see Artem Sytnyk removed as the head of the National Anticorruption Bureau (NABU) of Ukraine, was authored by lawmakers from the parties of President Petro Poroshenko and former Prime Minister Arseniy Yatsenyuk. Mikheil Saakashvili, the former Georgian president turned Ukrainian opposition leader, has vowed that he will continue to resist arrest after his supporters dramatically freed him from custody in Kyiv. Facing a deadline to turn himself in to the authorities on December 6, Saakashvili told supporters at a protest camp near parliament that he would not comply. A full, six-year term until 2024 would make his 24-year tenure — including his years as prime minister — the longest by a Russian leader since Joseph Stalin sat in the Kremlin for 29 years. It is widely believed that Mr. Putin wants to use what should be his last term, barring further constitutional changes, to cement his place as one of the more important historical figures ever to rule Russia. It has been a somewhat improbable run for Mr. Putin, 65, who spent the bulk of his early career as a middle-level K.G.B. agent in East Germany. Calling the collapse of the Soviet Union one of the greatest catastrophes of the 20th century, he has built his formidable popularity on the idea that Russia should restore its natural destiny as a superpower, an equal to the United States in military might and global influence. The Russian government declared the broadcasters Voice of America and Radio Free Europe/Radio Liberty “foreign agents” on Tuesday, in retaliation for a similar action against Russian state-run news outlets in the United States. Russian lawmakers and government representatives were infuriated by the decision, rushing through the retaliatory legislation within days. President Vladimir V. Putin signed the law at the end of November. The Czech Republic said in a statement Wednesday that it recognizes the pre-1967 west Jerusalem as the capital of Israel, but that it will only consider moving its embassy from Tel Aviv to the city after talks with regional partners. The announcement came hours after US President Donald Trump declared that his administration was recognizing Jerusalem as the capital and that he had instructed the US State Department to prepare to move its embassy from Tel Aviv. Trump made no distinction between East or West Jerusalem in his declaration. “The Czech Republic currently, before the peace between Israel and Palestine is signed, recognizes Jerusalem to be in fact the capital of Israel in the borders of the demarcation line from 1967,” the country’s foreign ministry said in a statement. At all four previous Eastern Partnership summits from 2009 to 2015, there was a notable absentee. The leaders of Ukraine, Moldova, Georgia, Armenia, and Azerbaijan were all present, but the leader of the sixth member country—Belarus’s Alexander Lukashenko—was not. Ahead of those summits, the organizers either discreetly asked Lukashenko not to come, or made it clear that the man dubbed “Europe’s last dictator” wasn’t invited. The Warsaw summit in 2010 generated a controversy when Minsk sent its ambassador instead of foreign minister, who wasn’t allowed to speak along with the heads of the other delegations. Now the détente in Minsk-Brussels relations is the new normal, and Lukashenko was finally invited to attend last month’s summit himself. But contrary to expectations, he sent Foreign Minister Vladimir Makei—the country’s traditional negotiating partner with the West—in his place. The outdoor ice skating rink — the largest in Central Europe — in Budapest’s city center has been part and parcel of Hungary’s Christmas tradition for nearly 150 years. The Senate Foreign Relations Committee advanced a bill that will help Holocaust survivors and the families of victims obtain restitution or the return of Holocaust-era assets. Romania’s parliament established a national day celebrating the Yiddish language and theater. Human remains were dug up during construction work near a Jewish cemetery in eastern Poland. The remains were unearthed on Tuesday during work to modernize the power grid for the city of Siemiatycze. The ground where the remains were uncovered is adjacent to the fence of the Jewish cemetery. The case is being investigated by the District Prosecutor’s Office in Siemiatycze. Polish Prime Minister Beata Szydło submitted her resignation to the Law and Justice (PiS) party leadership Thursday.